Do You Have Your Pediatrician On Speed Dial? When my son was first born, I didn’t want to become one of those parents. You know, the ones who freak out at every little thing. The ones who get hysterical about a little rash. The ones who call the doctor in tears because the baby has a fever. I tried to be calm and cool about everyday health issues. I tried to consult my numerous baby books and the Internet when I had questions before calling the doctor in a panic. But the Internet in particular often ended up making me think about new possibilities for what could be wrong. After a simple Google search about ear infections, I might be convinced that my son has permanent ear damage. Another issue that continued to baffle me was when to give my son pain medication. Should it only be when he has a fever? What about during teething? What about if teething goes on and on and on? It’s hard when a baby seems like he’s in discomfort, but you’re not actually sure why or how intense the discomfort is. What if he always seems to look like this when he is teething? 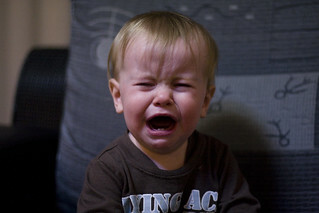 I did specifically ask my pediatrician about giving OTC pain medication during teething. If teething seems to be never-ending — doesn’t it seem to last forever? — how do you know when and how much pain medication to give? Keep track of your child’s weight before giving your child any medicines, since dosing is most accurate based on weight, not age. Read the package label very carefully for proper dosing instructions and always use the measuring device that comes with the medicine. Be careful about mixing different over-the-counter medications. They may have different names, but they may also have the same active ingredient. Using multiple medications with the same active ingredient may lead to an inadvertent overdose. If your child is younger than three months and is not acting typically or has a temperature over 100.5° Fahrenheit, consult your doctor. Talk to your doctor before giving a pain reliever or fever reducer containing ibuprofen if your baby is six months old or younger or for acetaminophen if your child is younger than 2 years. Eventually, as my son grew out of infancy, babyhood, and into toddlerhood, I got more relaxed all around. I rarely opened the books or even consulted the Internet. That’s because I had developed one thing that is critical in helping parents cope with uncertainty and endless questions: experience. I knew how my son acted he was really sick. I knew how he acted — how he showed that he was in pain, how he slept, how he ate — when his stomach was bothering him, when he had an ear infection, or just felt generally ill. In short, I began to rely on my instinct about whether it was time to call or see the doctor. 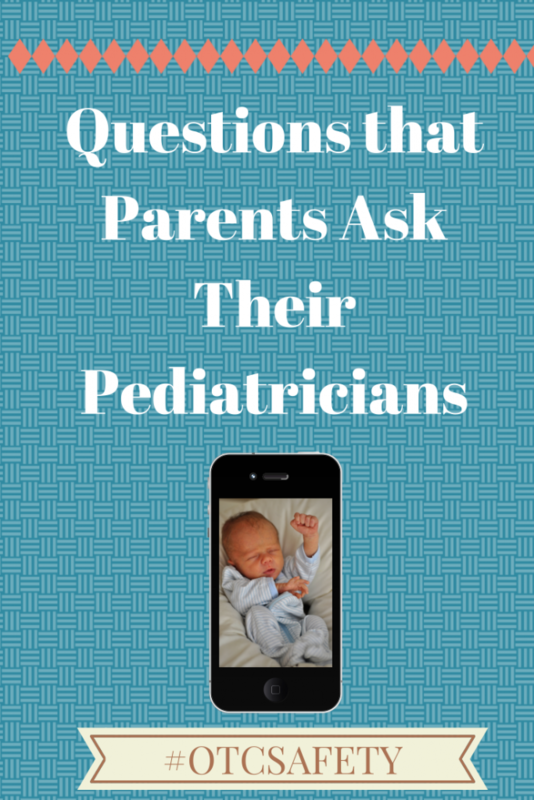 What are questions that you’ve asked your pediatrician? Do you rely on his or her advice first or do you try to find the answers yourself before calling? Most of the time I try to find out my own answers first. I google everything; but I think that has less to do with my distrust of my pediatrician and more to do with my personality. That said, I have definitely been in situations where I have had to fight for treatment that I believed to be needed or justified, while my pediatrician took a more laissez-faire approach but eventually ended up agreeing with me. Thanks for sharing this! I agree that it is important to ask your doctor about different medications and treatments, especially if you think your child’s health is in jeopardy. However, it is also good that you got enough experience to know what to do for your kid without consulting anyone. Knowing your kid well is one of the best ways to know if they aren’t feeling well.